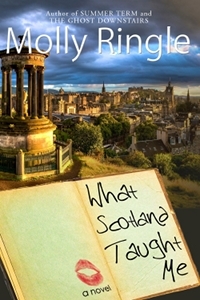 This Friday, instead of a short story, we’re very pleased to announce the release of WHAT SCOTLAND TAUGHT ME by Molly Ringle. Molly is just a fantastic writer, and we’re terribly proud that she submitted her book to us. This book had both Contributing Editor Nicole Arbuckle and myself remembering what it is like when you’re nineteen and the decisions you make aren’t necessarily the smartest ones. Molly has a way of writing with humor and wit that reminds us of the drama of youth while keeping it all in perspective. We hope you’ll take the chance to pick up her book – it’s on half price in our store for the next few weeks – only $2.50! Welcome Molly, we’re happy you joined the family. Feel free to read the first chapter of her book here. Fresh out of high school, Eva Sonneborn is headed to Scotland with her best friends: scholarly, sarcastic Laurence; gorgeous, ghost-seeing Amber; and responsible, sweet Shannon. They plan to spend the next six months in Edinburgh, enjoying an adventure-filled work-abroad journey before parting ways for college. 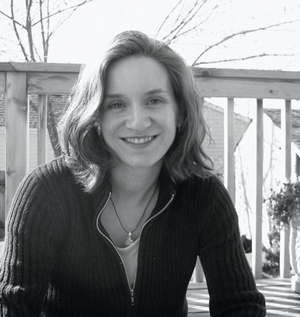 Molly Ringle has been writing fiction for over 20 years, and her stories always include love and humor, as well as the occasional touch of tragedy and/or the paranormal. Her book THE GHOST DOWNSTAIRS, a 2010 EPIC Award finalist for paranormal romance, was published in 2009 and a contemporary comedic romance, SUMMER TERM, was released in August 2010. Molly lives in Seattle with her husband and kids and worships fragrances and chocolate. This Friday we’re pleased to present a short story by Paul Dayton. Author of the amazing sci-fi novel: WE’VE SEEN THE ENEMY, Paul is a master at taking real events and infusi ng them with his imagination to bring them to a reality that resonates with the reader. 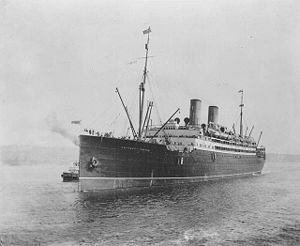 This one is based on the sinking of the RMS Empress of Ireland, the deadliest maritime disaster in Canadian history and is an excerpt from Paul’s book THE EYE OF THE IDOL. May 29, 1914, 1:20 A.M.
Captain Kendall couldn’t sleep. It was bad enough that this was his first trip down the St. Lawrence on his new command, but thoughts of his murdered wife and the horrendous image of her death flitted through his mind. He tried to put the blame for his sleeplessness on the stage actor’s wife, the one he had spoken with earlier. The actor, whose name was Irving, had searched him out in an effort to calm his wife down. She had been in a panic, and kept going on about the sinking of the Titanic two years before. After commenting on the precautions being taken to make sure all passengers were kept safe and comfortable, he took her up to the bridge and pointed out the deck hands and crew responsible for keeping an eye out, but she was beyond reason. Even visiting the ship doctor provided little relief which left Kendall worried. He had gone up to her after the laudanum had taken effect and calmly said, “Madam, I am not in the habit of sailing ships that sink.” He winked at her in good nature, but it had made little difference. Kendall shook his head. As strange as her uncontrollable panic was, it wasn’t that which had woken him now – it was her appearance and mannerism. She looked exactly like his deceased wife. ´But that’s not it,’ he thought to himself. Four years had passed, yet he still had trouble sleeping. Visions of her dismembered body were running through his mind more frequently, not less. There was no way he’d take the bromide or cocaine prescribed by his doctor, but he was nearly at wit’s end as to what to do otherwise. Kendall threw his bed sheets over in disgust and got dressed. ‘I should be in the wheelhouse anyway,’ he said to himself, forgetting that the term better applied to his previous ship. Walking out into the crisp cold air, he buttoned his overcoat in an attempt to keep out the damp chill and made his way up to the Bridge. Just before entering, he heard the heavy Newfoundlander accent of the Chief Officer on duty as he spoke to someone else inside. “What’r you on about now Terry?” the Chief Officer replied. “And you’re as buggy as that friggin’ cat,” the Chief replied, shaking his head. Kendall stepped in before the conversation got out of hand. “Mornin’. Think I will then. Carry on, Chief.” He went and poured himself a cup. He stood just inside the door leading to the bridge wings and looked out into the heavy mist, happy to see the Empress moving carefully at slow ahead. “It’s a small world out there, Captain,” the Chief said worriedly. “I don’t think we need…” he started to say, but remembered the 1500 people on the Empress. He knew the night officer well – a fully capable man that had come with excellent recommendations. “Yes, reverse to stop.” Although her speed was only ten knots, it would be a good mile before the Empress came to a full stop, even with the reverse to stop orders. He turned to look back out into the night as the night chief rang the engine room. Within seconds, his thoughts drifted back to that horrible event as he sipped at his still hot coffee. He couldn’t believe his wife was dead, but as gruesome as her death was, the story of her murderer’s capture was even stranger. He thought back to the moment that had almost given him a heart attack. After bereaving the death of his wife, he continued command of the ship at the time, the SS Montrose. Once they had broken port he looked over the passenger list and as he scanned the names, he dropped the clipboard in surprise when he recognized one of them. Picking it up again, he had to read it twice to confirm his fears – his wife’s murderer and his accomplice had gotten passage aboard his very ship under one of the aliases the suspected couple used. Using the ship’s Marconi wireless, he contacted authorities. The famous Dr. Crippen, the notorious ‘cellar killer’ and his lover Ethel Le Neve were arrested when the Montrose was intercepted by a police boat. As they were escorted away, Kendall remember the cold, hard stare Crippen’s beautiful but deadly lover had given him, one he could never forget. It was one thing to see Dr. Crippen as a killer. Men had killed for the smallest of reasons. But never in his mind could he imagine such a cold-hearted, brutal but lovely female killer such as Le Neve. Before they were hung, Crippen had uttered a curse directed at Kendall himself, clearly stating that his next command would sink. He shook his head at the unusual coincidence, and hoped he would eventually get some peace from the horrible event. “What did we hit?” he asked dazed, ignoring the question. He slowly pulled himself up as he heard the Chief’s report. “Yes sir,” Chief Officer Randall said. Captain Kendall heard the order go out and watched the deck crew work at freeing up the lifeboats, but the Empress’s growing list was making things extremely difficult. After five minutes of struggling, only four had been launched, and he knew it would be a miracle if any more could be dropped. Fortunately, he could see the SS Storstad approach, heavily damaged but able to rescue the survivors. The Empress dropped again as her list worsened, reminding Kendall it was time to act. Just as he turned to meet with the Marconi radio operator, an explosion rocked the Empress and she dropped fully to her side. Kendall shot through the air and hit the water hard, the vacuum of the rapidly keeling ship sucking him under. Although shocked with the ice cold water, he fought to reach the surface and caught a breath as he momentarily broke, but the violent eddies quickly pulled him down once again, disorienting him as he spun in the darkness. He fought the massive urge to cough, the water forcing itself into his ears and nose as he desperately searched for direction. A shifting glimmer of light gave him hope, and he pumped powerful strokes towards it. Seconds later, he broke the surface once again as his head bumped against a wooden grating cast off from the Empress’s keeling. He grabbed hold of it as he heard people all around him screaming in horror or yelling for help. One woman grabbed hysterically at his hair from behind and tried to climb on top of him, pulling him under before he was able to fully cough the water from his lungs. Panicking himself, he swam under and behind her to escape her grasp and struggled again to reach the surface, but with his energy spent, it was just out of reach as the water weighed down his heavy overcoat. Though his lungs were burning for a breath of air, Kendall realized the truth. It was if Satan himself was pulling him down into the depths of hell, and he realized that breath would never come. Kendall stilled his racing heart as he let the air out of his lungs. ‘A few more minutes, my love, and I’ll be joining you,’ he thought, but the thought was interrupted by a powerful hand that reached deep and grabbed him from behind. He found himself being pulled into one of the lifeboats as he gagged out the St. Lawrence water. “Here you go Captain!” a voice said as Kendall struggled to take a breath. “Lucky Tower here! Are you alright?” Kendall was too busy coughing to reply. “Forward, towards the Empress…There,” he pointed, ignoring them and singling out the woman who had climbed over him, faintly holding on to the wooden grating. As they reached her and pulled her in, he did a double take. Mrs. Irving was just conscious enough to give him an “I told you so!’ look. From there they picked up others as he watched the Empress in despair. He could only imagine those on her thinking that perhaps the worst was over, as if the craft were grounded on an imaginary sandbar. A crazed laugh burst out of his mouth as he held his hands to his head. For a minute, everything was calm, and even the cries had died down. But suddenly, the Empress groaned a death cry as her stern rose out of the water, the ones on her hull shaken off as she hung suspended for a moment. Those on the lifeboat became quiet as the massive vessel gave her last breath and sank rapidly out of sight. He stood oblivious to the cold as the carcass of the once beautiful Empress of Ireland gulped down the souls of those belonging to her and took them down to her grave. Darkness surrounds me; it’s too dark. I know it is dawn, for ever since I could remember I’ve opened my eyes at first light to watch the horizon turn color as the sun rose and burned away the mists over the village. At this moment, I remember one morning in particular – waking in my mother’s arms and listening to her heartbeat as she continued to sleep, though I grew restless and wanted to be free of her embrace, to go out and play in the stream, to watch the cattle and chase the hens. I would think it a blessing to hear her voice now, to be caught in that embrace. I relax and pull images from my memory, piecing together our house and shop, hearing the sounds of morning. It doesn’t help, for suddenly I am afraid and it is so very dark. I feel . . . strangely – something does not belong, does not fit. I feel as if I’m suffocating. Something is caught around my nose and mouth, choking me. There is a glazing over my eyes – I see, but I do not see, everything is in a fog. My hands feel cold; I can’t move my feet. I remember and yet I do not. The comforting images from home are replaced with more disturbing things. I see people, and hear their voices; I see the streets crowded with people, soldiers. There is heaviness and lightness. My heart beats frantically with every breath I try to take and I see . . . things. They are those I do not wish to see, but I see them nevertheless. It is the third day. It is with difficulty I unwind the shroud; it is like peeling an apple — the linen bands spiral and weave as they slide onto the bier. Sitting up, I reach for the cloth someone has left on the ground and I wrap myself in it, for suddenly I am cold and shivering. A pale light slides under a crack in the opening of this place. Jumping down, my feet ache a bit and I notice the wounds. Looking at the marks, I remember all of it now. As I reach out to find the opening in the place, I notice the ragged sore on my right hand. How the dim light shines through it! In my mind’s eye, I see the soldier’s face as he plies hammer and nail. For a moment, I feel sick and am near to fainting. I summon strength from the Father, and push away the stone blocking the entrance to Joseph’s tomb. The daylight startles me and I stagger a bit, shielding my eyes. It is only a moment until I can focus and look upon the garden. Someone had started to till the soil, for a rake leans against the tomb and new plants are set out in neat rows, waiting. In time, they would yield much fruit. My presence does not startle the laborers in the garden; they merely turn and nod a good morning. They expect me; they are the Father’s messengers. One of them offers a smile and I remember his face from my childhood – a serene look with dark eyes that were merry, knowing. I take in a long breath of good morning air tinged with earth and flower scent, and look about again, running a hand along my arm, just to be sure. A tunic dangles from the handle of the rake and I take the garment and draw it over my head. It smells freshly washed, of the wind and wildflowers, like those at home. I pick up the rake and begin tilling the soil, humming a song from childhood. It is all so natural, so right, to do this. The sun has barely moved over the horizon when I see her open the garden gate. She is draped in mourning weeds, which I think strange at first, and again, I remember. The friend of my childhood and sister in my work, the widow of my friend, she had seen what happened three days ago. She was a witness to the humiliation, the suffering, all that I did because the Father asked me. I am ready to call her name, but the laborers turn as if they know what I am about and shake their heads, smiling. Mary comes to the tomb and stops short. She drops the jar of spices she balances on a neatly folded stack of linens in her arms and chokes back a sob. Mary looks up, frightened. Yet I know Mary; that fear won’t last, just as that day when the wolf came into the town and she alone chased it out; when her husband took the plague and she alone nursed him to his last breath and everyone had fled. When people told her she was a fool to give her inheritance to us to support our work, to leave her husband’s people in Magdala to follow me. The laborer’s question distresses her even more and she glances about frantically, bringing a new flood of tears, and I think it is too much for anyone to bear. I shake my head at the laborer and step forward. I was . . . yet I . . . wasn’t. “Mary, go to my brothers and the disciples, to Peter and John, and tell them what you have seen,” I say. Mary reaches out to take my hands and from the look on her face I know she has seen the wounds. They hold her attention for some time, until a peaceful understanding settles on her. When she looks at me, it is the Mary of our childhood, the Mary who fed and clothed my friends and me. She wipes her tears on her sleeve and nods. A smile forms on her lips and she nods again. Slowly, meticulously, she picks up the shards from the pottery jar, and pushes the costly spices to the side of the path, then takes the linens and folds them, setting them aside, knowing they would be of no use here. “This is the Lord’s doing, and marvelous in our eyes!” she whispers. When at last she gets to her feet, she walks to the tomb and goes in, as if to make sure, then returns, smiling. She hurries away and as she closes the garden gate behind her, she turns, looking back. I raise my hand and watch as she disappears between the olive trees, going down the hill to Jerusalem. The laborers, who have watched all with great interest, now return to their work. It is some time before I move, for I delight in taking in the warm rays of sun on my face, the sound of a bird greeting the new day. There is still much I have to do, but the garden is compelling. I take up the plants one by one and carefully place them in the rows I have tilled, patting soil about them and offering a trickle of water. Yes, in a year, perhaps less, each of these will yield good fruit. When I am done with this work, I will go to Jerusalem. 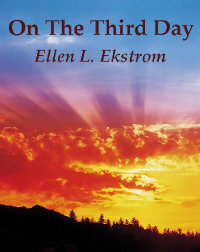 © 2009, by Ellen Ekstrom. Do not copy, quote or duplicate without permission.